Thank you for checking out our page!! I created the group Shoulder To Shoulder after volunteering at a men's homeless shelter last year. It broke my heart that so many people still go hungry every day. Most of the food served to them was expired or semi molded and they were herded in and out of the shelter and back out into the cold, not having a moment to relax or even get warm. The mission of Shoulder to Shoulder is to provide meals and nutritional education to the Cleveland area thru community functions, meals on wheels scenarios and afterschool programs for "latch key" children. We have hosted a variety of fundraisers and raised over $5000.00 last year. 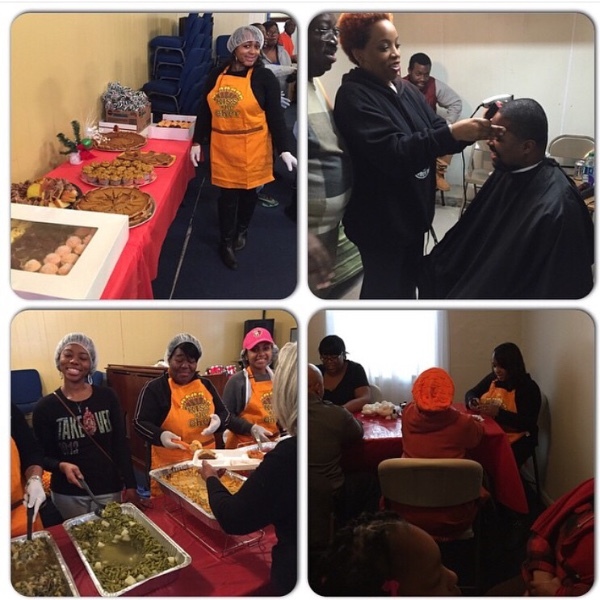 As a result, the group hosted our First Annual Thanksgiving Community Meal on Thanksgiving Day, 2014, at Greater Mount Calvary Church in Cleveland, Ohio. 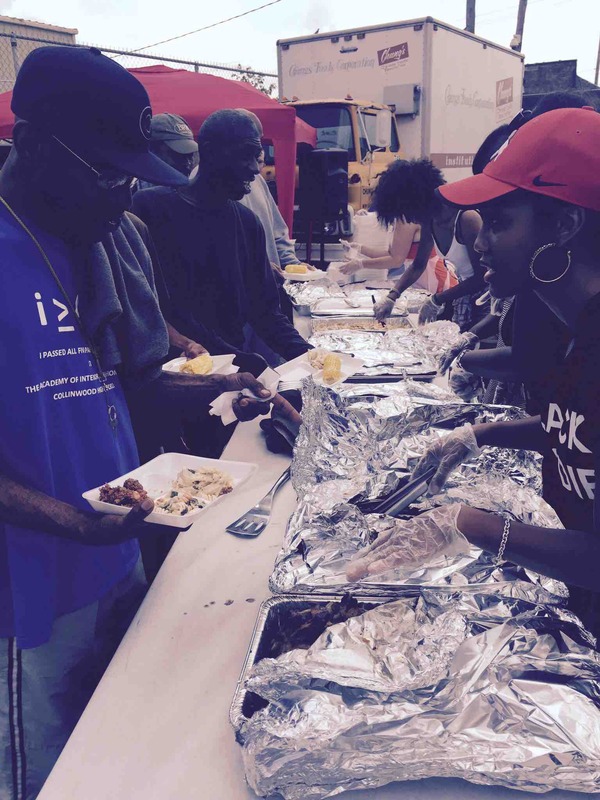 We were able to create an environment where people came together for at least one day of fun, fellowship and importantly FOOD! 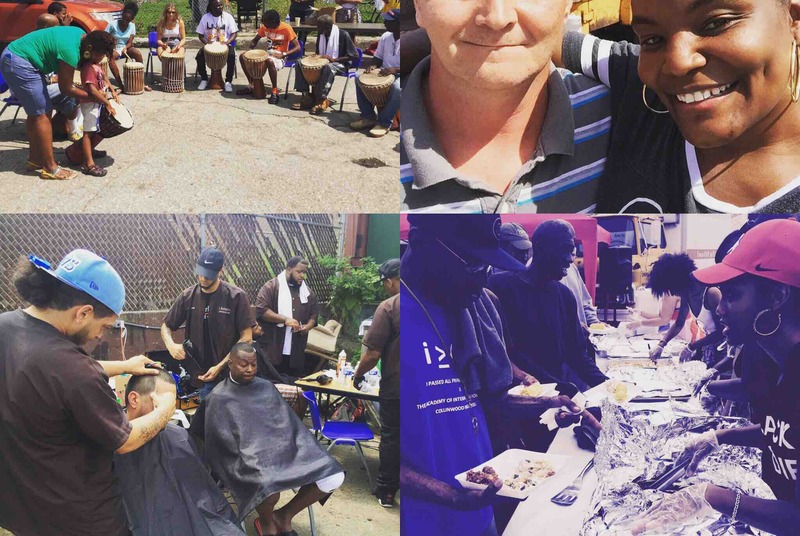 There were games for the children, free hair cuts, face painting, movies, massages, clothing donations and a host other activities but most importantly a safe, warm place for people to sit down and enjoy a meal in a family setting where they aren't going to feel "less fortunate". We have already began fundraising for the 2015 Thanksgiving Community Meal and other projects that we will do throughout the year and we still need your help and financial support. If anyone reading this would like to be a part of Shoulder To Shoulder or volunteer, I welcome your participation so please contact us!! I understand that what we're doing may be considered small to some but until we get our non profit status, we're going to still push ahead and at least DO SOMETHING consistenly. I truly believe that if we stand together, Shoulder To Shoulder, and share what we have.....we'll all have something to make each day a little brighter. Isn't that what we're all here for any way? It's time for our 3rd Annual Thanksgiving Community Meal and Shoulder To Shoulder still needs your help! No donation is too small!!! Thank you for your helping us feed the less fortunate for our third year!!!! 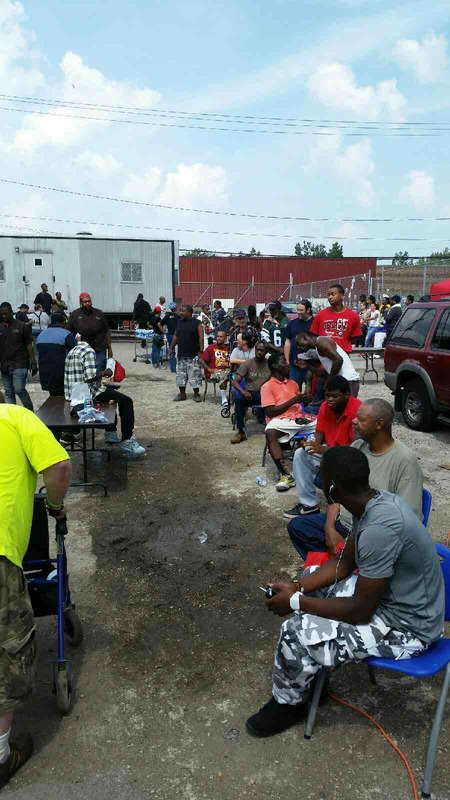 The latest event at 2100 Lakeside was a HUGE success! Thank you for your continued support! Thanksgiving is almost here!!! While the group has feverishly held fundraisers and sold dinners, we are still in need of donations! Our 2nd Annual Thanksgiving Community Meal will be held at Oak Leadership Institute!!! 100% of the proceeds that we collect will be used to purchase food, toiletries and other materials that our guests may need. Be a blessing to someone today by making a donation of any size to help our cause. Being homeless or hungry is awful on any day but at least we can give our guests a beautiful holiday and share what we have. Standing Shoulder To Shoulder is what true "unity" is all about!! 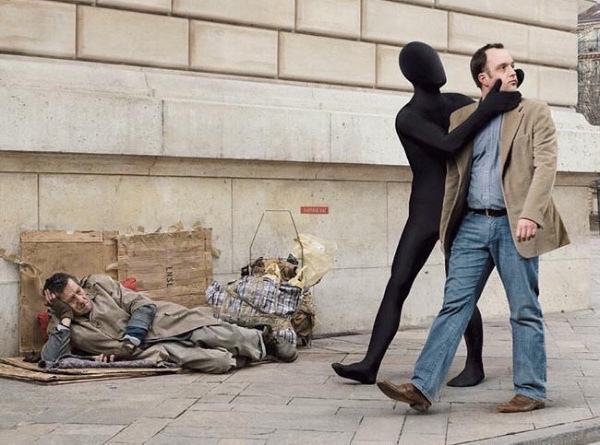 Don't ignore our brothers and sisters!! Hunger is a real problem!!! Thanksgiving is just a few short weeks away!!! While the group has feverishly held fundraisers and sold dinners, we are still in need of donations! Volunteers and group members working together to help others enjoy the holiday! Every little bit helps. Great cause.